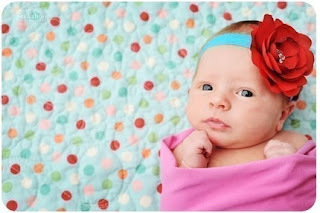 Banner Boutique is one of our favorite Etsy shops to look at -- not only because the sweet babes are too cute & the photography is divine but because of the couture hair accessories for your sweet littles. We adore the Cream Rosette Flower Headband (fits newborns to 3/4) -- the 7 Swarovski Crystals in the center give the perfect touch of detail and the nylon headband won't leave any marks -- it is SUPER soft. The best part -- matching mommy or big sister hair clips are available to match! You can always count on Banner Boutique to give you great contrasting colors like their NEW Red Rosette & Turquoise Headband. 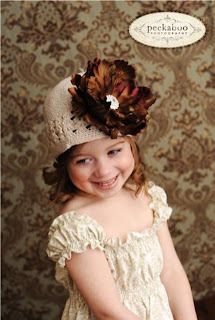 They also have a great choice of beanies that of course have all the girly detail - a large flower clip & rhinestone center -- whats a girl not to love. For the past two years, Banner Boutique was strictly selling to top quality boutiques -- but, lucky for us they recently started spreading the love by selling their products on Etsy. They specialize in HANDmade, not HOMEmade hair accessories for all the ladies in your life -- infants, toddlers, girls & women of all ages! This shop is different from others as the flowers are hand pieced and their hair bows are hand sewn to in sure top quality and durability. Only the finest materials are used which include the to-die-for Swarovski crystals and designer ribbon. And you won't believe but guess who the photographer is? The designer herself, Lindsay Banner - we must give credit, where credit is do. She does a fantastic job - she runs a family, a successful business & a blog! And thanks to Lindsay, she is giving one of our readers a $25 gift certificate to her shop! To enter you MUST take a browse around her shop and tell us what you can't wait to buy! This comment is mandatory! You also MUST be a follower of cupcakeMAG & Sprinkles. For extra entries you can do the following below as well. Just make a separate comment for each letting us know! The more you comment the better chance you have to WIN! 4. Make sure you "LIKE" Banner Boutique on their NEW Facebook page too! 5. Subscribe to our updates (top right corner above) - just sign up with your email. 6. VOTE for us on Top Mommy Blogs here -- just select "click to vote" -- you don't have to register or anything - just a simple click! 7. Tweet about this giveaway and include @cupcakemag - you must tweet, not just follow. 8. Tweet about this giveaway and include @BannerBoutique, you must tweet, not just follow. by click follow in the top left corner. 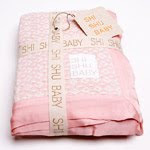 Start commenting now and take a browse around Banner Boutique! The winner will be chosen at random on Monday June 7th at midnight, est. Open to US residents only. 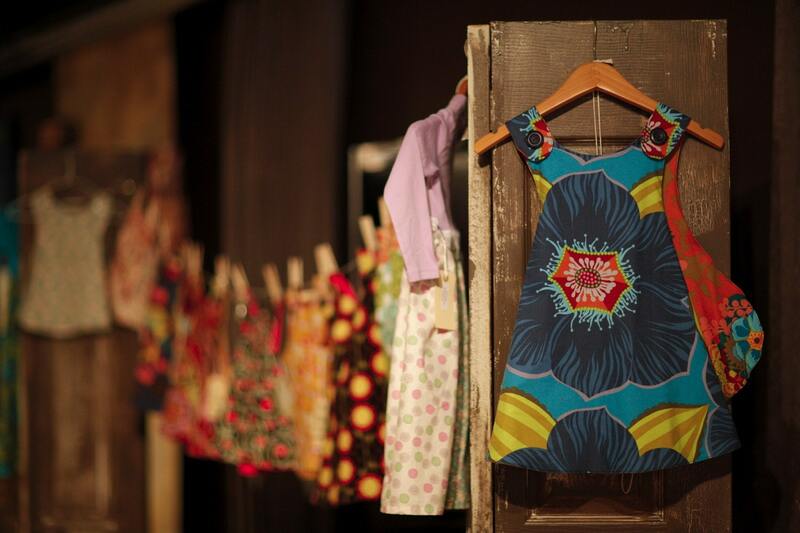 chatting with kimberly matthews of westmama designs - win a tee too! super soft tee shirt line made by one stylish momma. Well, we just couldn't wait to share the tees that are designed with care! We absolutely adore the hip designs and fun shape -- the giraffe tee is the perfect combo of 100% organic cotton that is pre-shrunk for the perfect tee fit. The mod lightweight bunny graphic tee ($18) with fun flowers is perfect to capture the essence of spring in the air. The one-piece body suit is made of 100% luxurious Pima cotton - we love the pink & purple - and believe us when we say SUPER SOFT! Of course we can't get enough of all the designs but most of all we adore the customized feel -- don't see the size or color you need? Just send Kimberley a message -- she is beyond wonderful to work with and will do her best to get you what you need -- it is all about satisfying mommas and making littles smile at westmama designs. Oh, and we can't help but notice their super eco-chic website recently designed by Lizzie Sorensen. It really shows off how organic & fresh westmama designs are ---it is nice to see your not so average tee -- to be unique and far from retail. Where did you come up with the name westmama? My son is named West, not Westley, just West. When I was coming up with a shop name I wanted something to play on my general location and my family. Hence Westmama. I get my inspiration mostly from my back yard, my imagination and my son. I am fairly whimsical on my own and a tad geeky, which means my sons interests are a tab nerdy too. He's only two and instead of the typical fist bump (ala Obama style) that most people do, we do something in our house called the Cuttlefish boom (fist bump with ones fingers becoming tentacles afterward). I am also a big bird lover and love gardening. If I could have a shop with all bird designs I would. What made you take the leap and begin your own biz? I had been plotting my company for a year or so before I started selling. I was really into freezer paper stenciling and wanted to stencil baby clothes. I also had planned on sewing my own apparel to stencil on. Then I got pregnant with my second baby and just didn't think I'd have the time to open my shop. After my daughter was born I was blessed with a mellow baby and had time to learn some easy DIY screen printing techniques, after some practice and confidence I branched out to more advanced methods and thus was able to grow my shop and design gallery. What made you decide to go eco-chic? 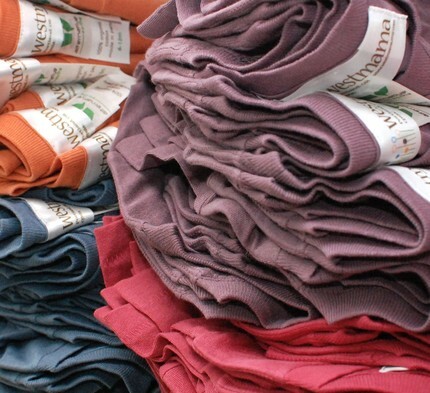 I never made the "decision" to become eco-chic, it is just something that has been important to me for a long time so it was a no brainer that if I wasn't going to be the one making my own apparel then I needed to find sources that cared about the people making their stuff and the environment. It is just not about having something that says they are "organic"... it is also about the conditions the workers are in and where the items are made and shipped from. Ideally I'd love to go local first, then local and organic, then organic. My two main suppliers of shirts fit my criteria. make sure you stay-up-to date with all things westmama! Head on over to the westmama etsy shop & spread the the love on your favortie style & color -- which would you little love? This comment is mandatory. You also MUST be a follower of cupcakeMAG & Sprinkles. For extra entries, please leave a separate comment for each entry letting us know! The more you comment the better chance you have to WIN! just sign up with your email! 5. VOTE for us on Top Mommy Blogs here - just select "click to vote" - you don't have to register or anything - just a simple click! you MUST tweet, not just follow. 7. Tweet about this giveaway and include @westmamadesigns - again, you MUST tweet, not just follow. Please comment below with your email address and we will select a random winner on Tuesday June 2nd after 11pm, EST. This is open to US residents only. Not too long ago we came across the world of Hoppop® -- all about the comfortable baby & toddler products that are oh so chic designed. "Hoppop products are created with an eye for beauty, a dedication to quality, a passion for design, and a devotion to meaningful innovation." -- yes, that is the wonderful world of Hoppop®. These are three words that define the 2010 collection - three words that make you fall in love with this young but talented brand. Our littles immediately hopped on the donut, hopped in the bato & didn't want to hop off the atto. Our littles couldn't wait to hop on the potty and hop in the bath -- whats not to love about that? The innovative designed donut ($24.99) comes in cheery vibrant colors (we are partial to the fuchsia) --- it is the perfect smooth little pot for that cute little cushion. It won't be the center of attention in your bathroom because it is so easy to store thanks to its compact size. 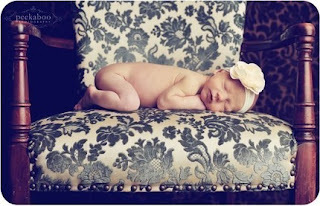 We never thought we say this about a potty but -- it is just plain old cute! It is SO easy to clean and fun to use - the high front also prevents those little spill overs that all can do without. 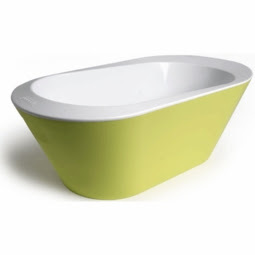 As for the bato ($49.99) -- well, it is the stylish looking bath tub we have ever seen! Hoppop® has put funky & bright design into this bath tub. The super supportive sides make bathing your little one simple as can be along with the easy to clean surface. simple. easy. stylish -- whats not to adore. And of course we must add something for fun -- the atto! This modern four wheeler is the perfect lightweight (about 2 lbs!) 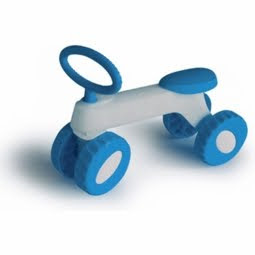 push trike for your tot. One thing we adore about these wheels - it can easily hang from a stroller hook or from the handle of a stroller which is always a plus for moms - because we always need that extra hand! All Hoppop® items come in three bright colors -- aqua, lime & fuchsia! LUCKY for SPRINKLES readers -- you can win ONE (your choice!) of these mod, fresh, funky items for your super stylish tot! 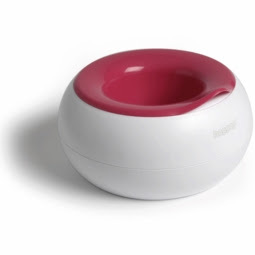 All you have to do is tell which Hoppop® item you would LOVE - along with the color. So head over to Hoppop® and pick your choice - we know, it's a hard one. This comment is mandatory! You also MUST be a follower of CupcakeMAG & Sprinkles. 4. VOTE for us on Top Mommy Blogs here - just select "click to vote" - you don't have to register or anything - just a simple click! 5. Tweet about this giveaway and include @cupcakemag - you MUST tweet, not just follow. Please comment below with your email address and we will select a random winner on Tuesday June 1st after 11pm, EST. This is open to US residents only. 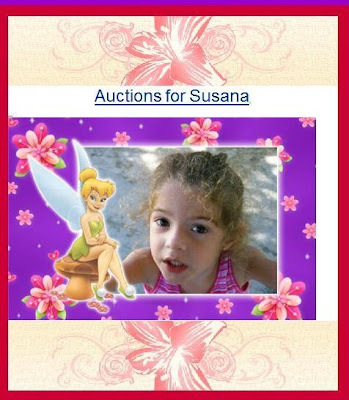 Baby Gassy Gooma is organizing an ebay auction for Susana Whittaker, a precious 4-year-old girl who was diagnosed with neuroblastoma on April 21, 2010, which is an aggressive cancer that has already spread to her bones, liver, chest and spine. We just got word on the auction which is already taking place and will continue until the 30th and we need your help! We welcome your participation! Open involvement is extended to any business owner, creative artist, book author, clothing designer, jewelry maker, photographer, musician, anyone with a loving heart who can "donate" anything, whether it be a product, photoshoot, books, clothing, painting, a gift certificate, etc., etc. 100% proceeds will go directly to The Whittakers to help with Susana's medical costs. If interested in participating, please contact babygassygooma@charter.net along with a description of what you would be interested in donating. Then all you have to do is ship your merchandise before the 30th. Please HELP it is SO easy! Thanks for caring! And please SPREAD THE WORD! Anything is possible if you care enough to make it happen and The Whittakers need our support! And check out the auctions here! 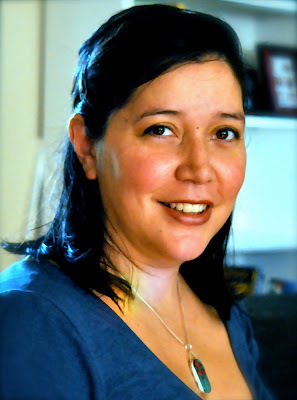 You can read more here about Susana & how she will battle this monster. Keep the family your prayers and PLEASE spread the word. luna lou -- handmade goods for the modern kid -- icy pop treat cozy -- plus a GIVEAWAY! the oh so chic freezer pop accessory! 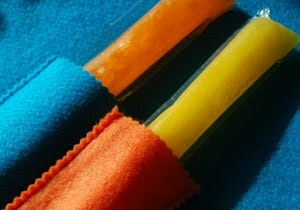 "I have said to myself for YEARS that there ought to be a sleeve for freeze pops, and finally this fall one Saturday I said right in the kitchen as my girls were having freeze pops because they were sick- "that's it, I am buying a sewing machine this week and I am going to make and market them!". Husband thought I was crazy until he saw the prototype and saw how much my girls use them. They go right for them in the drawer when they are having a frozen treat whether its freeze pop or a yogurt tube." The one of kind Icy Pop Treat Cozy keeps those little hands warm & cozy while eating yogrut & freezer pops for only $4 -- the handmade Eco-fi Felt cozy stays uber dry and wicks in moisture -- say goodbye to paper towels because they are so not eco-chic! They come in fun vibrant colors so make sure you stock up and plus, you get FREE SHIPPING when you buy 2. Luna Lou also has super fun free downloads to keep kids busy. We are a BIG fan! Head on over to Luna Lou and tell us what color your kiddo would LOVE to win! This comment is mandatory! You also MUST be a follower of CupcakeMAG & Sprinkles. 5. Write a blog post about this giveaway on your blog and send us the link. Please comment below with your email address and we will select a random winner on Tuesday May 18th at midnight EST. Didn't you get the memo? This is the coolest kid accessory of the year! current obsession -- one thing moms can't be without -- and a GIVEAWAY! If any of you follow CupcakeMAG on twitter you will know we just had a very long hospital stay, which will we have more on at a later day - but until then, I have to share with you one of my favorite mommy must-haves when kids are sick. The EarCheck is a handy little guy that will save you many trips to the doctors and has worked on all my littles. It has always been right and never fails! Did you know statistics show that 50% of all doctors’ misdiagnose ear infections? It’s not always easy to tell if your child has an ear infection, especially since symptoms can vary. With EarCheck®, you can now know at home whether or not a visit to the doctor’s office is necessary. One of the most thoroughly tested and independently evaluated consumer medical products – over 5,000 medical professionals including numerous independent medical institutions and over 70,000 parents have used it with success. EarCheck® uses sound waves that bounce off the eardrum and travels back to the instruments built-in processor. EarCheck® then analyzes the reflected sound to determine the likelihood that there is fluid in the middle ear; a key sign of an oncoming middle ear infection. Middle ear fluid can remain in a child’s ear for up to two weeks after all the antibiotics are finished and your child is feeling better. Since almost all kids get ear infections we want you to put that co-pay you will save towards the shopping fund so we are giving on lucky reader a chance to win their own EarCheck monitor! Just can't wait to win? Receive 20% off when you purchase your monitor at www.earcheck.com by using the code TWEET20. 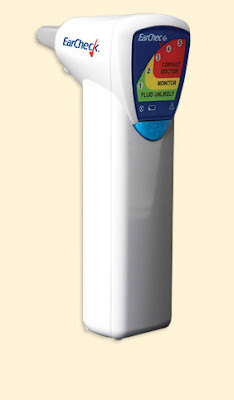 Please leave a mandatory comment below telling us just why you would love to have the EarCheck Monitor. You also MUST be a follower of CupcakeMAG & Sprinkles. 5. Become a facebook fan of EarCheck. (USA ONLY) Also, if your winner has already won the EarCheck® monitor from another blog site, they will be disqualified. Limit only one monitor per person, household, family or address. For more information on the EarCheck® Middle Ear Monitor, please visit our website at www.earcheck.com or follow up on Twitter and Facebook.